The Barna group recently released a study on the self-confidence of pastors, which had some interesting things to say about introversion in the pulpit. Despite the interpersonal demands of congregational ministry, one-quarter of the nation’s Senior Pastors describe themselves as introverts (24%). This is the same proportion as in the adult population (25%) and suggests that church work is not merely for those drawn to the limelight. Still, the research revealed that introverted leaders are more likely to feel under-appreciated in ministry and are more apt to feel relationally isolated. Those attending seminary, non-white pastors, mainline leaders, those in the Northeast, and leaders in their twenties and thirties were more likely than average to self-identify as introverted personality types. I'm encouraged to see that the percentage of introverts in ministry reflects the percentage of introverts in the general population. I wonder, however, if the pastors self-identifying as introverts are using the precise Jungian/MBTI definitions of introversion or if they are associating introversion with "shyness." The commentary on ministry in the above paragraph is interesting to me. 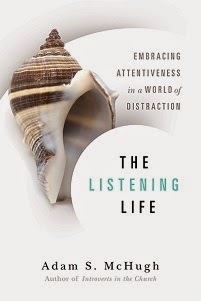 Lines like "despite the interpersonal demands of congregational ministry" and "church work is not merely for those drawn to the limelight" reveal cultural assumptions about ministry and those who are perceived to be most effective at it. 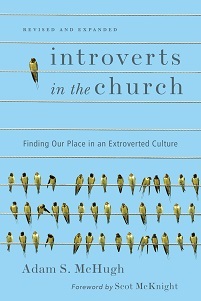 Introverts in ministry seem to be the exception to the extroverted rule, that's for sure. These study results confirm many of my experiences and convictions as an introverted pastor: though we can do ministry, we have a tougher journey than many extroverts because of cultural and personal issues. Another finding I thought was extremely interesting was that Buster (Gen-X) pastors are the most likely to self-identify as introverts. What are your theories about that? I have a couple, but I would like to hear from you.